This record is as cold as ice. A literal riff monster with enough frost and fury to satisfy any longtime fan of the band. Although Usurper’s origins date back to 1993, I’ll be the first to admit I was late to the party. I discovered the band back in 2013 through my relationship with guitarist, Rick Scythe. At the time Rick was pushing his own band Scythe (Subterranean Steele, 2013). Usurper’s return was nothing more than a dream. Being a huge fan of Rick’s guitar work, I started to delve into Usurper’s back catalogue. Much to my surprise the band has a bigger discography than I assumed, five full length efforts and an EP. Their sound is a stylized version of black eats thrash. 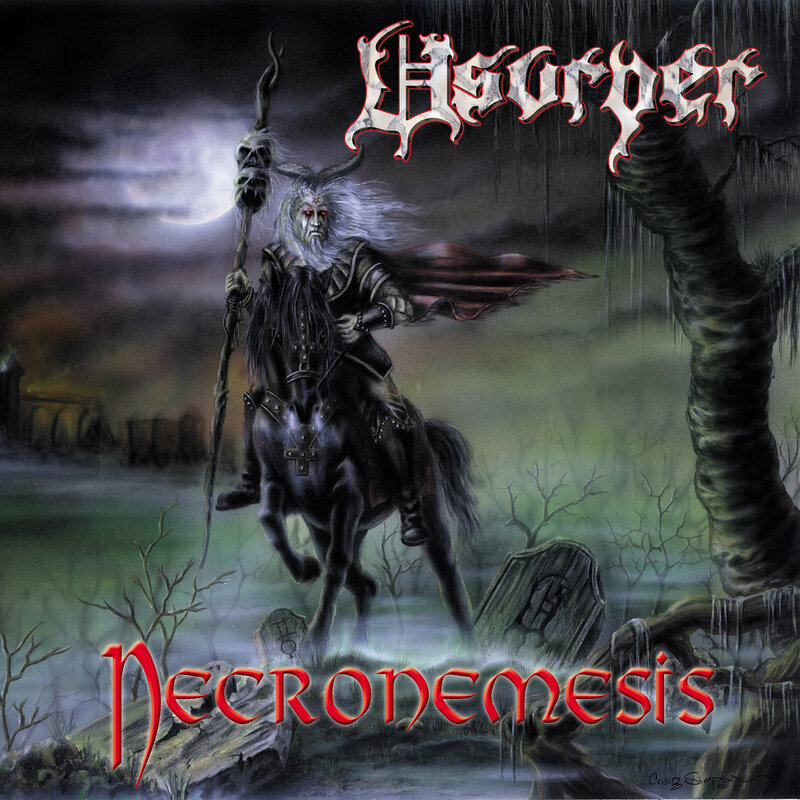 My favorite effort, Necronemesis features the guest vocals of metal juggernauts like Proscriptor McGovern (Absu, Melechesh) and King Diamond (Mercyful Fate)! It was hard not to like Usurper because they boast a style and sound all their own. I devoured their back catalogue and lamented my loss. Then the unexpected happened. 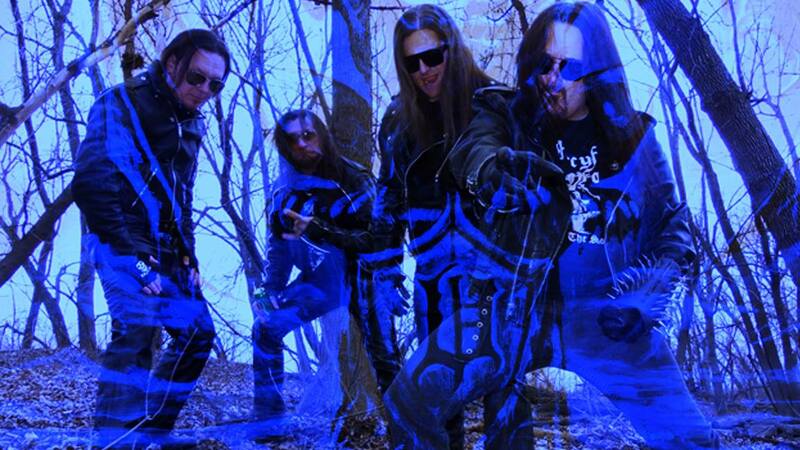 Former vocalist, Dan ‘Tyrantor’ Lawson returned to the Usurper fold. The band made their return to metal at Macabre’s famed Holiday of Horror (2015). The Usurper front man, who ironically made his debut at Macabre’s 2003 Holiday of Horror fest, was far better than I expected. Executing the ‘old songs’ with a hateful determination, I wondered if this reunion would result in new material. Now, less than four years later, we have our answer. Usurper has returned with, Lords of the Permafrost, due to hit the streets on March 22nd (2019) via Soulseller Records. This record is as cold as ice. A literal riff monster with enough frost and fury to satisfy any longtime fan of the band. Voracious and hateful, the band builds on this chilly structure. Tales of the supernatural catapult us into a bitter and bleak world where death is the only escape. Highlight tracks for me are: “Skull Splitter”, “Beyond the Walls of Ice”, “Lords of the Permafrost”, “Warlock Moon” and “Black Tide Rising”.